Dayboro Show was at the beginning of July and it was a huge success. Sam and Eddy both jumped and performed superbly. Oscar still wasn’t 100% so he stayed home. Sam came home with 2 wins and a 3rd place. He really is enjoying the show run at the moment. Eddy came home with a win, a 3rd place and a 6th place. This talented young horse has improved out of sight since doing these last few shows. He will be 5 in October and his future is looking very promising indeed. Sadly I had to put Oscar down in the early hours on the 9th of July. He had a severe case of colic and after rushing him to surgery, the diagnosis from the ultrasound was a ruptured colon. We did everything we could for him, but unfortunately there was nothing we could do in the end. I am absolutely devastated from losing such a talented young horse and the team certainly does feel very empty without him. He will not be forgotten and he now has a special place at home in the back paddock where he can watch over us. RIP buddy! 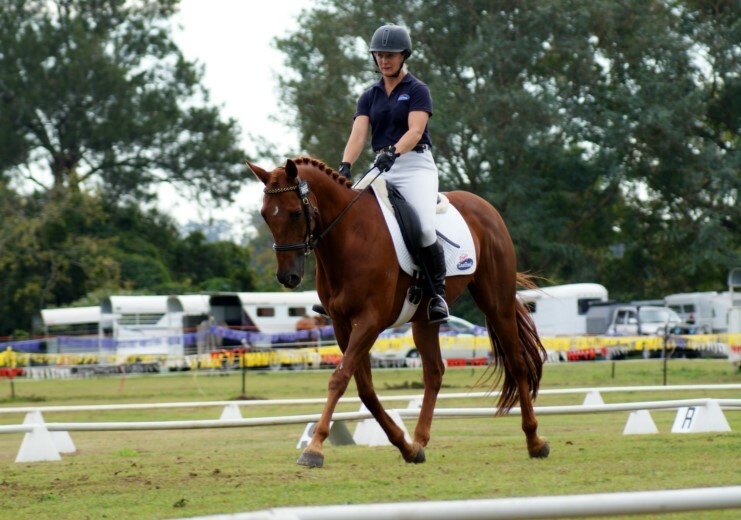 On a bit of a brighter note, Sam and I competed at a local dressage competition at Albany Creek at the end of July. We came home with reserve champion in the elementary class.